This was the home of the poet during the final years of his life. He chose to live far from the centre of political power, the Este family castle, in order to underline his independence from the court. He came here at the age of 52 after his experience as governor of the Garfagnana together with his son Virginio. Within the rooms of this house Ariosto was to complete his masterpiece "L'Orlando Furioso". On the somber, elegant façade the following words can be read. "Parva, sed apta mihi, sed nulli obnoxia, sed non sordida: parta meo sed tamen aere domus". Accessibility : Partially accessible to people with disabilities. Closed 2018: Mondays , Jan 1st and 6th. Easter Day, 1st Nov, 25th Dec. The Casa Romei is a splendid 15-century residence which belonged to a rich banker and merchant. 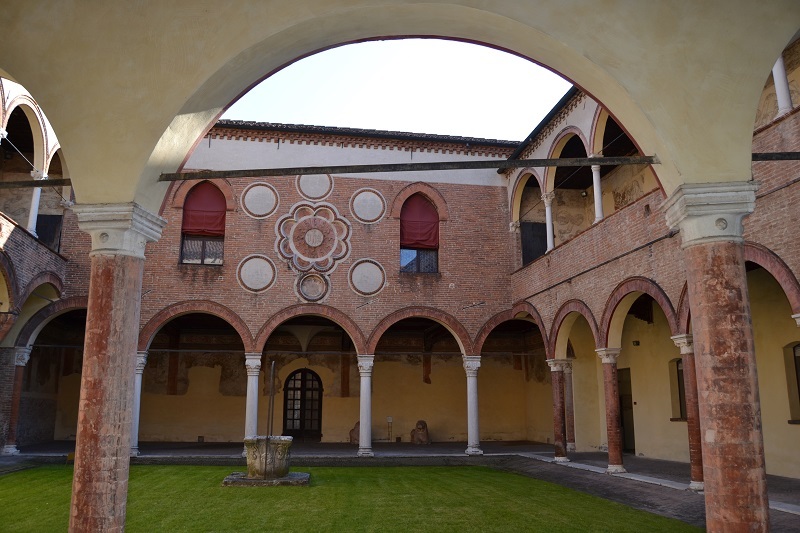 Of interest is the courtyard with a double loggia in marble and terracotta decorated with frescos and with a monogram of Christ in terracotta. On the ground floor the visitor can admire the room of the Prophets and the room of the Sibyls with the original fireplace and its unusually shaped cowl. On the upper floor frescoed apartments can be seen with scenes from the Bible alongside Grottesche decorations dating to the time of cardinal Ippolito II d'Este. Some rooms display tomb stones, memorial tablets and fragments of frescos removed from buildings no longer existing in Ferrara. Entrance charges: adult 5 euros, 18-25 years of age 2,50 euros , under 18 free entry. First Sunday of each month: free entry. The Castle was built in 1385, originally as a fortress, for Nicolo II d'Este. It was later transformed into the new court residence during the second part of the 16th century. With the transformation from fortress to noble residence the battlements were replaced by a balustrade in white marble, attractive roof terraces were mounted on the four towers and the upper floor was decorated with frescos. Inside the castle it is possible to visit the old kitchens and the dungeons which were used for the imprisonment of Giulio d'Este and the unfortunate lovers Ugo and Parisina. Following a ramp used for pulling up cannons to the upper floor, the visit continues with the "loggia degli Aranci", from where it is possible to enjoy a beautiful view over the town. Visitors can also see the "Appartamento dello Specchio", the "Appartamento della Pazienza" and the Sala degli Stemmi with the elegantly decorated ceilings. From January, 2nd to January, 31st : 9.30 - 17.30. Monday closed. From October, 1st to December, 31st: monday closed. March 31, April 1, 2, 25, 28, 29 and 30, May 1, June 1, 2 and 3, December 26. Guided tours booked through our association allow for a discount of 1 euro on entrance fee. This museum is located in the old city prison, in disuse since 1992, subject to a project of restoration. 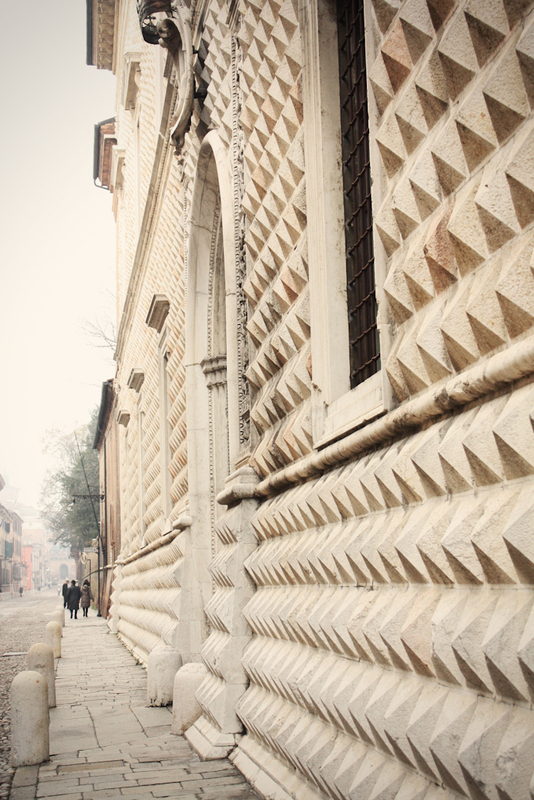 Ferrara was chosen as seat for this museum due to the fact that it is the only city in Emilia Romagna which can document the continual presence of Jews in its town since the medieval times. Among the aims of the Meis is that of spreading the history, the philosophy and the culture of Italian Hebraism. At present the musem hosts an exhibition “Torah fonte di vita” (source of life), an interesting selection of ceremonial objects and books from the “Jewish Museum of Ferrara” collection. Closed: Monday Saturday, and Jewish high holidays. Entrance fees: adults 10 euros, reduced prices students 4 euros. Free entry: under 6 and acompanying teachers. 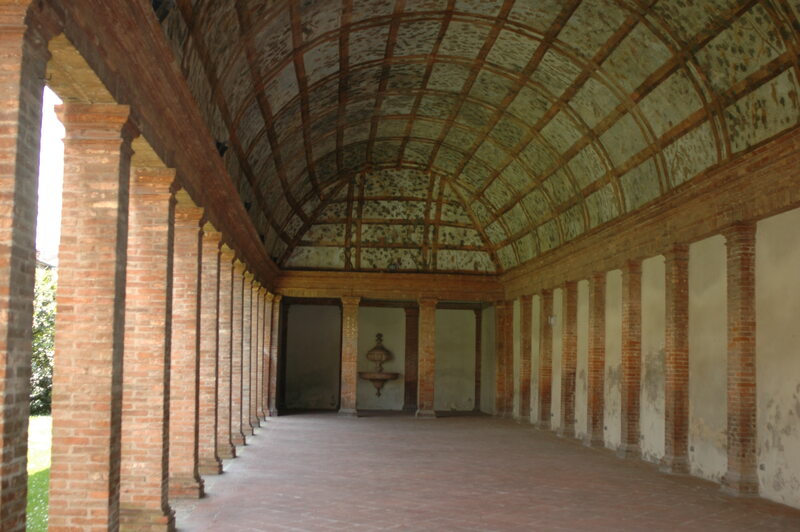 Inside the 15th century Palazzo Costabili, sometimes known as the Palace of Ludovico il Moro, we can see the finds from the famous Etruscan necropolis of Spina, discovered in 1922 while land reclamation works were taking place in the wetlands of Comacchio. The museum offers multimedia facilities which allows the visitor to interact with the objects on display. 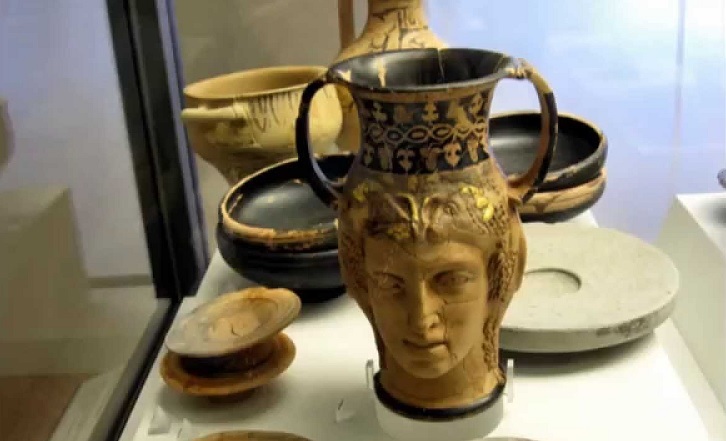 It is possible to admire the objects placed in the tombs, laid out in such a way as to invite the visitors to relive the magical world of the Greeks and Etruscans. In addition to the vast collection of red figure and black figure attic vases, numerous other objects are on display, gold and amber jewellery, gold coins, bronze candleholders and masks. The visit ends with a hands-on section. Entrance fees : adults 6 euro, 18- 25 years of age 3 euros, below 18 free of charge. First Sunday of each month: free entrance. 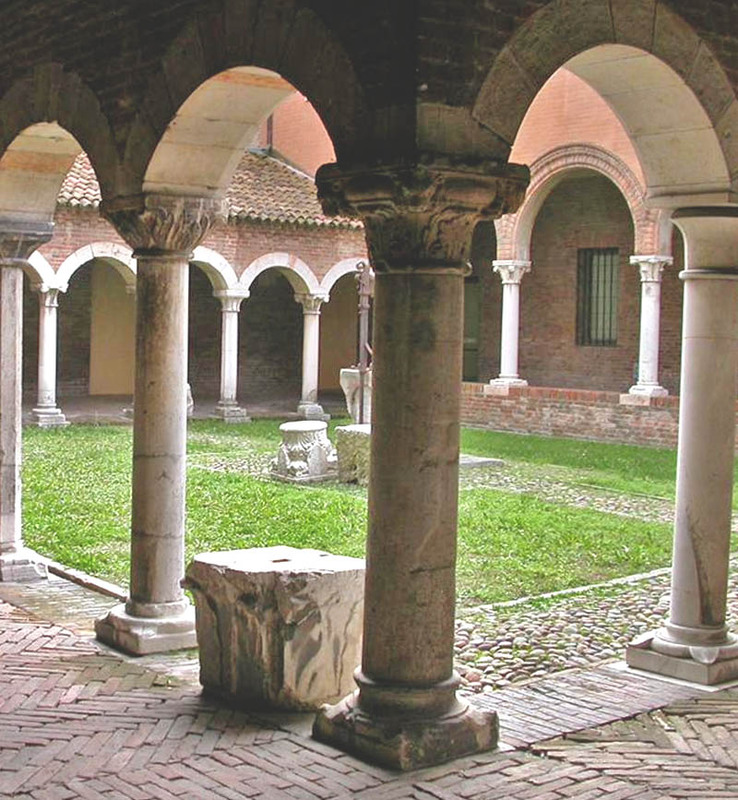 This museum is located inside the church of San Romano, in the heart of the medieval city and conserves important masterpieces of the Medieval and Renaissance era connected with the history of the Cathedral. Among the works on display it is possible to admire the sculpted stone panels which decorated the Porta dei Mesi (the Doorway of the Months), the organ panels painted by Cosmè Tura, the "Madonna della Melagrana" by Jacopo della Quercia, the wonderful illuminated manuscripts and the 15th century tapestries. Closed 2018 : Mondays 1st Jan, 6th Jan, 25 Dec. This museum was inaugurated in 1903 to celebrate the 50 years that had passed since the death of 3 local patriots: Succi, Malaguti and Parmeggiani. The museum displays a vast collection of material of great historical importance. It is divided into 2 sections, the Risorgimento and the Resistance. The first part is dedicated to the presence of French troops in 1796, moving onto the carbonari movements of 1820-21 and 1831 with the events leading up to the wars of Independence and the Restoration. Arms, uniforms flags and illustrations are on display. The section devoted to the Resistance is organized in a similar way and conserves documents which go from 1919 to 1944 from the Armistice of Cassibile to Pietro Badoglio (Marschal of Italy). 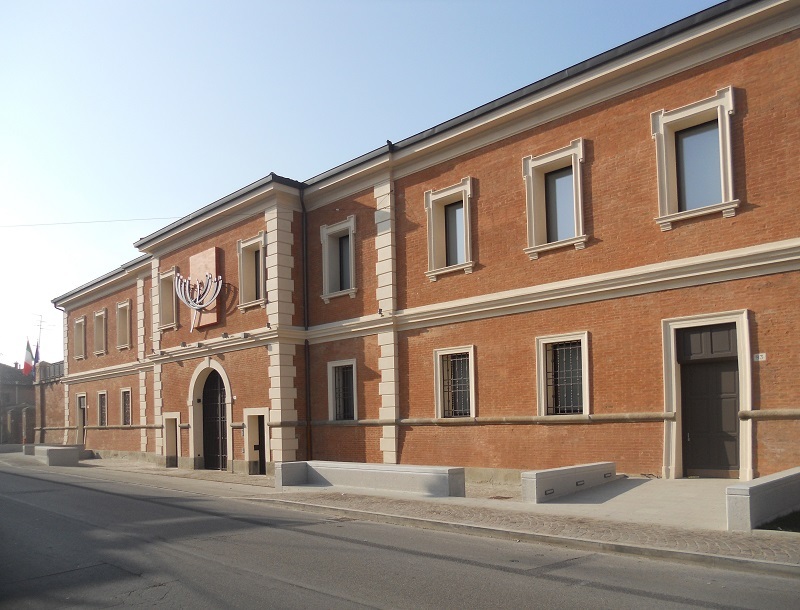 The lay out of the museum focuses on the events connected to the participation of local people in the fight against Fascism for the liberation of Italy. Closed: Mondays , 1st and 6th Jan, Easter Day, 25th Dec. 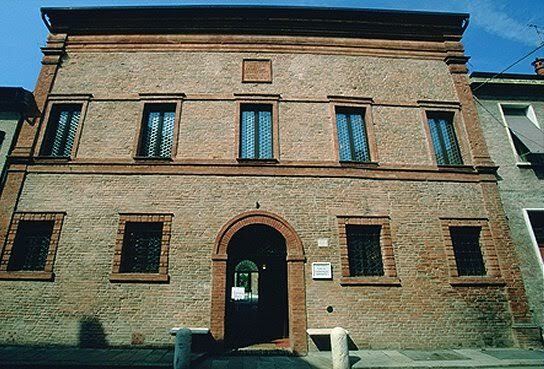 This museum illustrates the evolution in the world of art that took place in Ferrara in the course of the 19th century. The works are displayed following a thematic approach; literature and art form the inspiration of artists such as Giovanni Pagliarini, Gaetano Domenichini and Giovanni Antonio Baruffaldi. History, above all that of Italy and local historical events provide the impetus behind the works of Gaetano Turchi, Ambrogio Zuffi and Girolamo Domenichini. Another section of the museum is given over to the works by two local artists Gaetano Previati and Giuseppe Mentessi who were to find fame and fortune far from Ferrara. 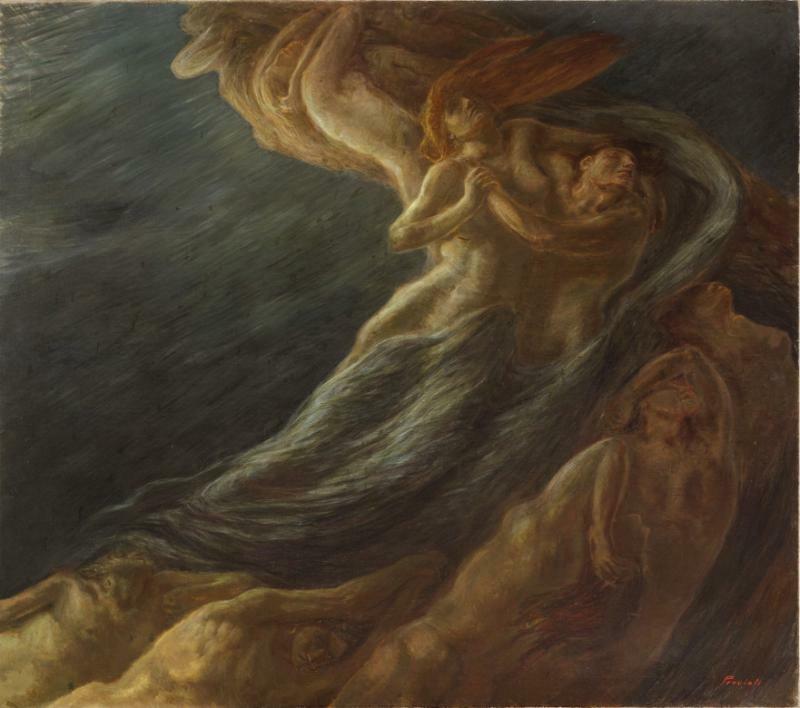 The works on display here testify to the contribution made by these two artists to the Symbolism and Divisionism movements and the end of the XIX century. On the ground floor is the collection of important works by contemporary Italian artists. There are many works by artists who had connections with the city in the course of the 1900's. The paintings exhibited include works by Achille Funi, Mario Sironi, Arnoldo Bonzagni and others. Sculptures, together with paintings by the local artist Roberto Melli are on exhibition and range from his earlier works to those carried out in his maturity. 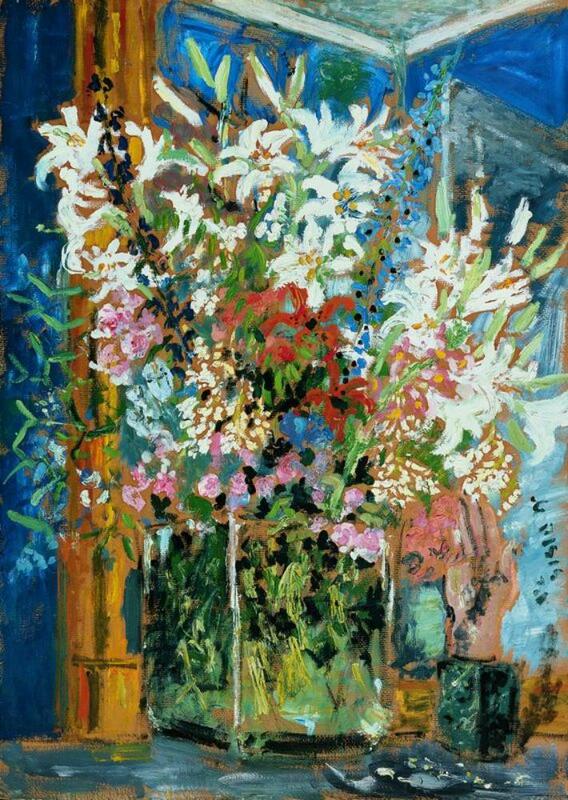 An ample sector is dedicated to the paintings by Filippo de Pisis: from his youth spent in Ferrara to his period in Rome and also his years spent in Paris where he was to develop his very personal style/interpretation of metaphysic painting. This noble palace was build in 1469 for Borso d’Este who gifted it to Diotisalvi Nerone, a Florentine in exile. 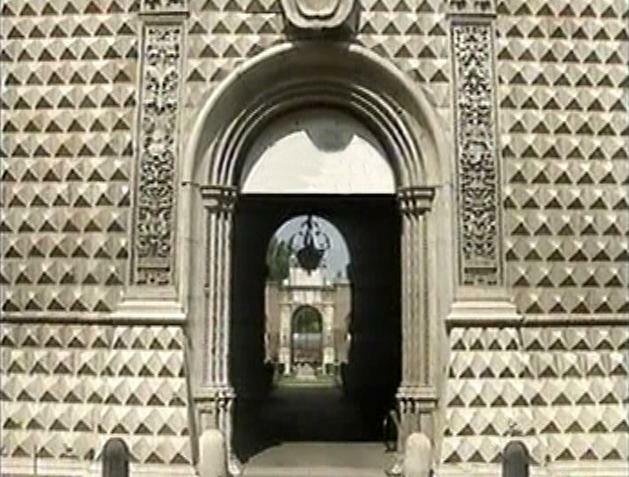 It has suffered damage over time and we see it today as an imposing building constructed entirely of bricks. To note, the crenellated tower which forms part of the facade. 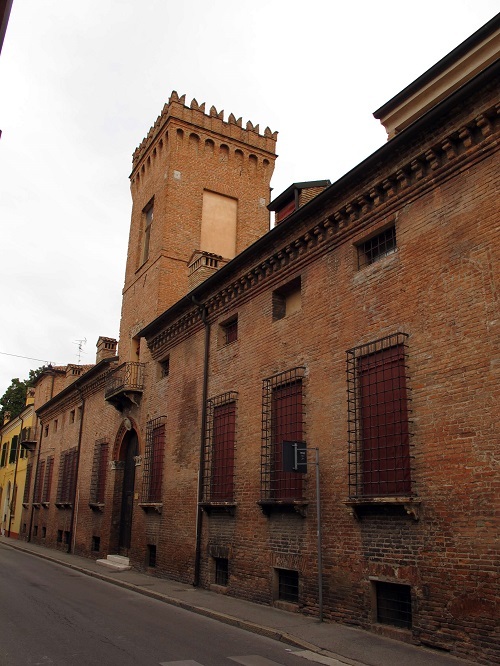 The building is host to the collection belonging to Cardinal Maria Riminaldi; he was responsible for the creation of the first public museum collection of the city of Ferrara. The Museum reflects the artistic taste and interest in antiquities of the cardinal, a great collector and intellectual, he represented an important cultural figure in both Rome and Ferrara during the second half of the 1700’s. It is possible to admire elegant marble sculptures, an important collection of bronzes, works in both plaster and precious stones, mosaics and paintings from the seventeenth and eighteenth centuries. Closed: every Sunday, 1st and 6th Jan, Easter Day, 25th Dec. The visit begins with an exhibition dedicated to the Earth's environment in which the diversity of different parts of the world are illustrated and how they have been transformed over time. Other displays show examples of fauna, flora, fossils and rocks with detailed descriptions and illustrations together with multi-media technology. Ample display space is devoted to minerals and the various forms of wildlife found in the Ferrara area and in other parts of the world in such a way as to offer an insight into the geological and biological diversity of our world and the evolutionary forces at work. Accessibility ; partially accessibile for disabled. Closed: Mondays ; 1st and 6th Jan, Easter Day, 25th Dec. 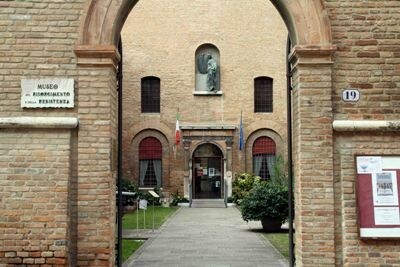 This museum is dedicated to the great painter from Ferrara who worked in Paris at the end of the XIX century. The artist's work is displayed in chronological order where we can follow his artistic development, from his early works, mostly family portraits, to his stay in Florence where Boldini was influenced by the Macchiaioli movement. In the various rooms of the museum we can see works from the period in Paris when the artist became one of the most sought- after portrait painters of high society: very large portraits in which singers, dancers and aristocratic ladies are depicted against a Parisian backdrop. In all these paintings we can recognize the personal technique favoured by Boldini, fast and unhalting brushstrokes. This magical XVI century building takes its name from Marfisa, daughter of Francesco d'Este, who lived here until her death in 1608. Her unorthodox lifestyle made her a talking point and during the era of Romanticism the legend of Marfisa "femme fatale" was born. This noble lady was the only member of the Este family to remain in the town after the departure of the Este family to Modena and the transfer of power took place. The inside of the building is decorated with works by the Filippi family, active at the Este court. It is also possible to visit the garden with its frescoed loggia, setting in the past for theatrical performances, concerts and banquets. Situated in the heart of the Renaissance town, built for Duke Hercules I d'Este in 1492, the name of this building is due to the faÃ§ade which is entirely covered with diamond shapes stones .The austerity of the faÃ§ade is broken by the presence of the sculpted corner stones in marble, the upper floor is given over to the permanent collection of paintings which make up the National Art Gallery, while the ground floor is used for temporary exhibitions. Entrance fees: adults 6 euros, 18-25 years of age 3 euros, below 18 free entrance. Accessibility: accessible to wheelchair visitors. In the heart of the Addizione Erculea the visitor can find the grand Massari Palace built for Count Onofrio Bevilacqua, modified in the course of time. The palace was enlarged at the beginning of the XIX century with the construction of another building which later became seat of the Knights of Malta. Entering the building the visitor passes through a monumental entrance into a spacious atrium which leads onto a large garden where it is possible to find some contemporary sculptures. Inside the building is the Museum of Modern and Contemporary Art named after Filippo de Pisis, and also a museum which houses works from the XVIII century and also the Boldini Museum. This building represents the most important of the so-called delizie, a sort of "pleasure palace " for members of the court. 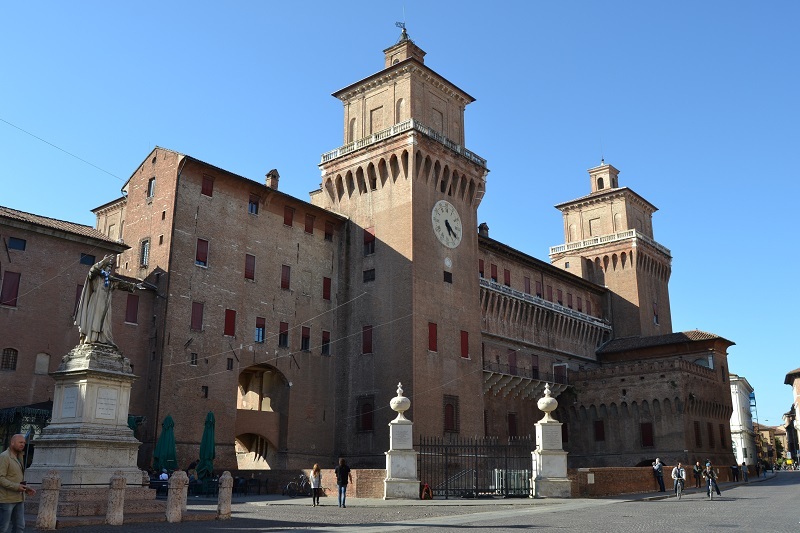 It was built for Alberto V d'Este I in 1385, and later enlarged in the course of time, particularly during the second half of the XV century during the rule of Borso d'Este who realized a "fusion" of the arts here. Biagio Rossetti, the court architect and the most esteemed painters and sculptors of the day worked here: Francesco del Cossa, CosmÃ¨ Tura, Ercole de Roberti, Baldassarre d'Este and many others. 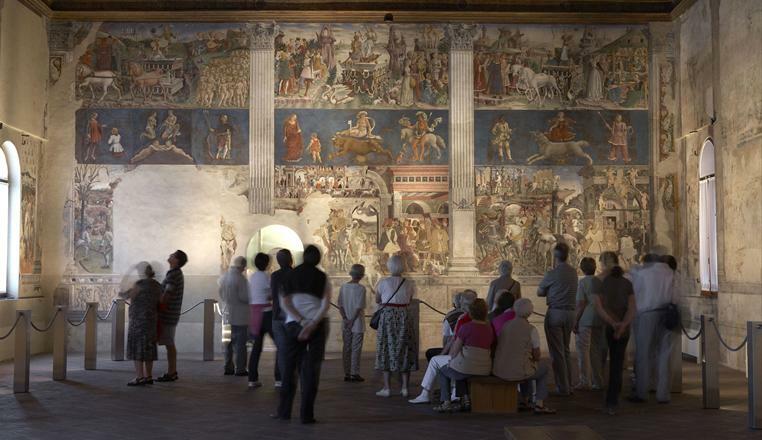 The most fascinating part of the palace is the Hall of the Months where we can find a cycle of pagan frescoes representing the largest cycle of its kind in Europe. 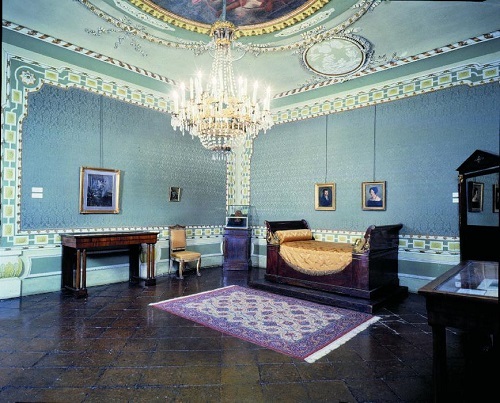 Visitors can also admire the Sala degli Stucchi decorated with the beautiful coffered ceiling, the work of Domenico di Paris and also the room of the "Stemmi" with its traces of the Este family devices. Today the palace houses a civic museum. Situated on the upper floor of the Diamond Palace, the Art Gallery gathers together various collections of paintings which date from the XIII to the XVIII century. It is possible to see works which range from little known Gothic style artists to works carried out by artists with the calibre of Jacopo Bellinini and Mantegna. The gallery also possesses an important collection of works by the artists of the so called "Officina Ferrarese " (the workshop of Ferrara): Ercole de Roberti and CosmÃ¨ Tura. The XVI century is represented by many works by Benvenuto Tisi da Garofalo, Ippolito Scarsella (Scarsellino), Carlo Bononi, Giovanni and Battista Luteri, (known as Battista and Dosso Dossi. The last room in the gallery is dedicated to the extraordinary polittico by Garofalo and Dosso Dossi "Madonna on the throne with saints" inside the original wooden altar-piece, richly sculpted and decorated in gold leaf.